Little Miss Muffet is bored of her own nursery rhyme so goes in search of a new nursery rhyme to be in. But before you can say Peter Piper picked a peck of pickled peppers, the whole book of rhymes is thrown into chaos! 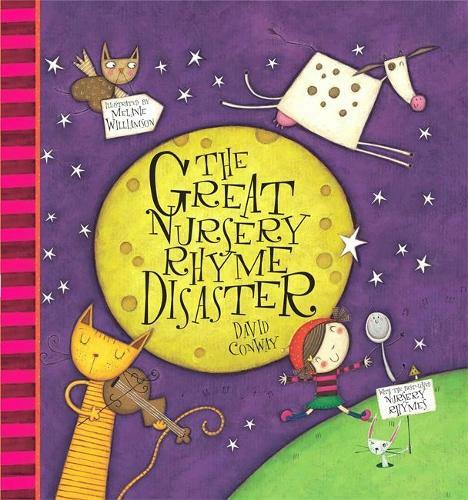 With some of the most favourite rhymes, including The Grand Old Duke of York, Jack and Jill, Hickory, Dickory, Dock, Ding, Dong, Bell, Hey Diddle, Diddle, Sing a song of Sixpence, The Queen of Hearts, and Little Miss Muffet.